Hi my name is Stephanie Loveland and I am 22. My husband and I will be moving there in a couple months. 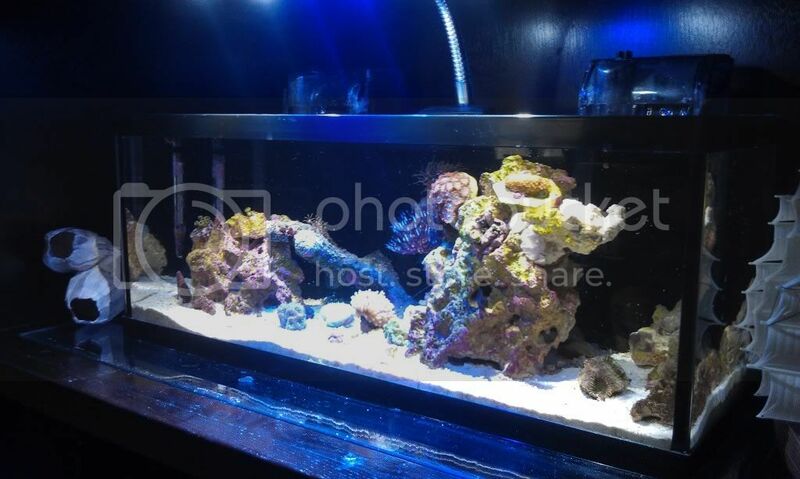 I currently have 2 mixed reef tanks, a 3 and a 10 gallon. Once we get settled in, I will be upgrading my 10 to a 36 bow front that I have. I will then make my 10 into a planted/nps tank. I'm so excited to become part of a reef club! 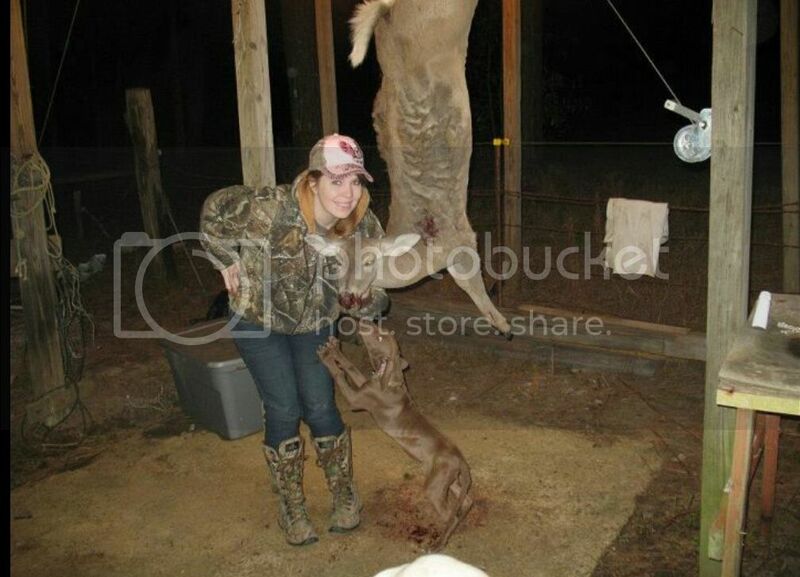 Haha had to throw another hunting picture in there. Well thats me...chaka (long story nickname). I have been on the thread for a while, just wanted to introduce myself to everyone. haha sweet profile pics for sure. Keep em coming for those who have not. Dont be shy its just us. Hello bluesplayer86, WELCOME !!! whats your real name ? what tank/tanks you got ? experience ?, dont be shy to add pic of yourself your tank and all the other forums on here. Hi My name is Miguel, I don't have a tank yet.... I'm pretty much new to this hobby so I started looking for a tank (leaning towards RSM systems 130D or 250), if you know someone who is selling one I'd really appreciate if you pass me that contact info. Welcome Welcome to STARS !!!!!!!!!!!!!!! Hey what's going on! 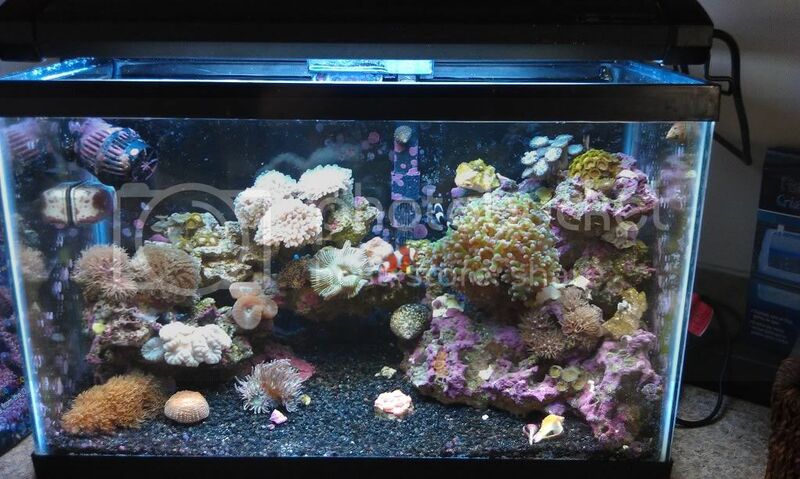 My name is Jon, been in EP for about 3 years now and about 7 months ago upgraded my 36g FOWLR to a 50g Reef. Looking forward to meeting some of you in the future. WELCOME TO STARS !!! post more pics of your tank when you get a chance ~! Thank guys. And sorry I don't have the greatest pics of the tank right now. Still want to paint the back of the tank to hide the mess... One of those things I wish I had thought about in the excitement of setting it all up! looks good, thanks for posting on facebook also. Mr saltwater tank is an honorary STARS member. Thanks! So I thought I'd throw one more picture up since I've had a bunch of additions in the tank with a few SPS and LPS and I finally got rid of the horrible black HOB filter and replaced it with a HOB refugium from Reef Octopus. sweet, start a build thread and its fun to watch how you started to where your gonna be. just a suggestion. Also just a suggestion but a background would hide more of the stuff and focus the attention on whats in the tank. Keep it up. My name is David and I live in the Northeast. I have a 20gallon tank and been doing this about 1 year. I'm hoping to finish my current project of a 120 gallon tank should be up and running later this year. Hope to go to next meeting and will post pictures of my tank. Welcome, do you already have a 120? Ill be selling mine here in a few. Should be getting a new tank in a few.Anyways, welcome! Does anyone here sell frags? If you want to save some cash and hurry it along, I suggest buying some dry rock, you only need around 80lbs of it and its fast n simple. Hello everyone!! My name is Ryan and I'm about to be a new resident to El Paso. I am a Recruiter for the Army in Montana but am moving to Fort Bliss in October. I have a 140 Gallon FOWLR tank only because most the fish I like eat corals. I will post some pictures later when I get some good ones taken. Look forward to meeting everyone and seeing some amazing tanks. Hello There! Nathan and Shannon Heinritz - we are new to Las Cruces but are looking forward to getting connected to this group. Welcome to stars everyone !!! !